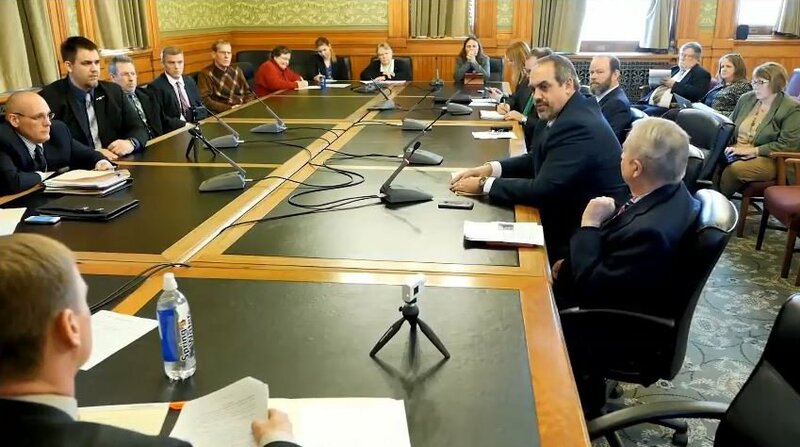 If you weren’t able to make it to the Iowa legislature this past week to participate in or observe the sub-committee on Constitutional Carry legislation, you’re in luck. Iowa Gun Owners was proud to testify in support of our Constitutional Carry bill, and to be joined by Larry Pratt from Gun Owners of America. Speaking personally, I was very happy to get a chance to meet with IGO members who came from as far away as Cedar Rapids for the hearing! But if you couldn’t make it, we’ve prepared a pair of videos for you to watch. To see my own testimony on behalf of tens of thousands of IGO members, go here. And you can see the comments from Larry Pratt from Gun Owners of America, by going here. Don’t forget, Constitutional Carry is on the move here in Iowa, as it is across the country — because of your grassroots pressure. It was grassroots gun owners that gave us a pro-gun majority by flipping the Senate in the Fall of 2016. It was grassroots gun owners that made sure Iowa passed Stand-Your-Ground law last session. And whether or not Iowa becomes the next Constitutional Carry state depends in large part on your grassroots activism as this bill moves forward. Having passed the sub-committee, Constitutional Carry law (S.F. 2106) will now have to pass the full Judiciary Committee by next Thursday! We will have much more on this next week. If you’re not already a member of Iowa Gun Owners, I hope you’ll get involved right away! P.S. Last week Constitutional Carry legislation cleared an important sub-committee hurdle and is now moving on to the full Judiciary Committee! In case you missed it, Iowa Gun Owners was joined by Gun Owners of America’s Larry Pratt at the hearing last Thursday –- who offered some fantastic testimony in support of our Constitutional Carry legislation! You can watch my own comments in support of our Constitutional Carry bill — on behalf of IGO members -– by going here. You can watch the video of Mr. Pratt’s testimony here. Folks, this fight is heating up FAST! If you’re not yet a member of Iowa Gun Owners, we need your help. Get involved as a member TODAY! Come Meet Larry Pratt Tomorrow! Constitutional Carry Scheduled for a Full Committee Vote This Week!